All rights remain the property of ©Andres Amador. 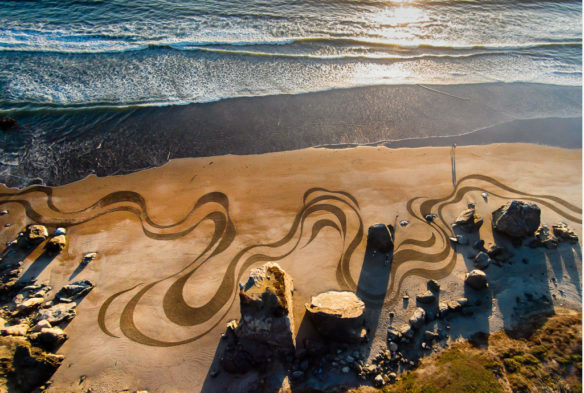 Andres Amador is an Earthscape Artist, specializing in enormous artworks most often done on the beach. His passion is connecting people to the natural world via his ephmeral creations. Andres has created installations around the world, with the northern California coastline being his main canvas.